The 2015 edition of the FlowerTrials® has attracted more visitors from more countries visiting a higher number of locations than ever. Compared to last year, the total number of visitors went up by 11% whereas the total number of individual visits to the 49 companies exhibiting at 30 locations increased by 15%. While 40% of the visitors are from the Netherlands and Germany, internationally the event couldn´t be broader attracting floriculture professionals from 64 countries over all 5 continents. Approx. 40% of all visitors attending the event were growers while 25% indicated being trade partners including auctions, distributors, retail buyers, garden centre chains, etc. A further 12% of visitors represented breeders and producers. The remaining visitors included suppliers of technical equipment, journalists and media partners. 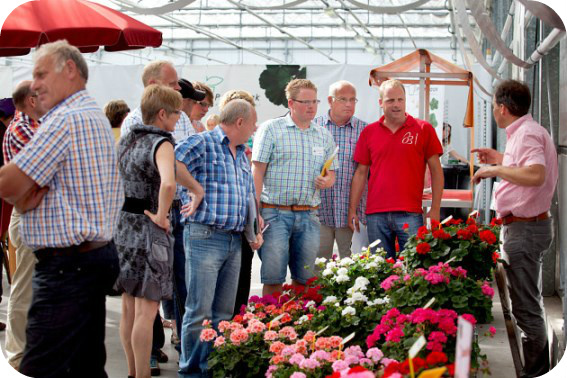 Next year the FlowerTrials® will take place again in week 24 i.e. 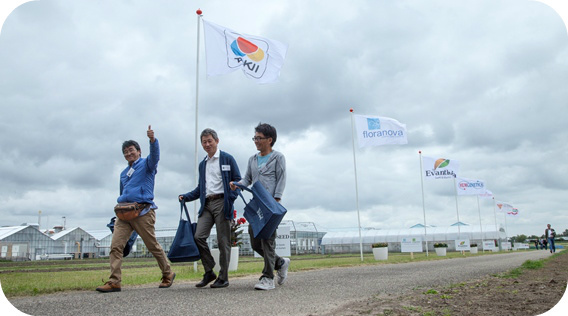 from Tuesday 14 to Friday 17 June with breeders in the Westland and Aalsmeer region (NL) and Rheinland Westfalen (GE) opening their doors to show the latest innovations and assortment to growers, buyers and trade partners from all over the world.